Pillsbury may have created the saying that nothing says lovin' like something from the oven, but that can also be said of the very best bakeries in West Virginia. The best ingredients, unique flavors, great locations and excellent customer service are just some of the things that separate these bakeries from the ordinary and turn them into extraordinary. With a love of baking that started in childhood, owner Kim Baker wanted to create a place where healthy delicious baked items would be available to the community and help reverse the disconnect that's become commonplace in our fast food society. This dream came to realization and River and Rail Bakery opened in 2011 in the old B&O train station. If you love citrus, you'll want to try their very popular lemon tart. Owners Rachel and Gina are committed to providing delicious treats, gourmet cupcakes, and one-of-a-kind desserts. They also take orders for specialty cakes, pies, and cookies and cater events locally. Specializing in French pastries made daily, Spring Hill Pastry Shop has earned a reputation for delectable pies, cookies, breads, and cakes offered in-house or by special order. If you want a special treat not found anywhere else, try the hotdog pastry. It's not what you think. If you like the sound of apple cider pumpkin or strawberry champagne cupcakes, moist chocolate brownies, or fresh buttery pepperoni rolls, then you'll have to visit Lil' Bit of Heaven Cupcakes the next time you're near St. Albans, West Virginia. In operation for nearly 70 years with recipes handed down to family members each generation, Bonnie Belle's Pastries in Clarksburg, West Virginia, offer specialized cakes, cupcakes, and other delicious baked items for weddings, birthday parties, and other special events. Striving for perfection and baking with love, visitors to Gus's Goodies will have a hard time choosing what mouthwatering item to take home. 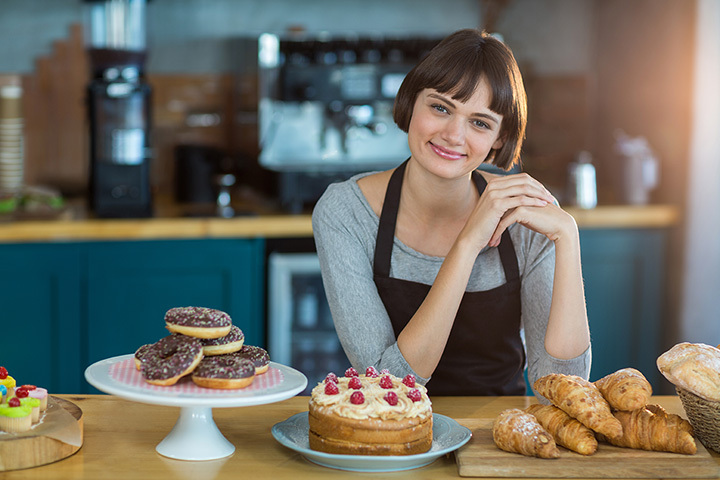 From specialty cakes to famous blueberry donuts to the wide variety of tasty cookies, knowing that only the best ingredients are used in everything produced there is an extra benefit. Not a place to miss when in Weirton. Advertising edible works of art and 18 different flavors of cupcakes, B Sweet Confectionary in White Sulphur Springs, West Virginia, is the place to go for catering services, help with party planning or simply the best pepperoni rolls in the White Sulphur Springs area. Try their salted caramel Rice Krispy treats when there. You won't be disappointed. Located in the oldest town in West Virginia, the Sweet Shop Bakery in Shepherdstown specializes in European-style baked goods. Also offering specialty breads like German black bread, golden buttery German stollen, and unique sure-to-please gift baskets, Sweet Shop Bakery customers can also enjoy their favorite hot beverage and a limited lunch menu. Visitors are sure to return to Paula Vega Cakes in Huntington, West Virginia. The apple pie lasagna is unique and won't disappoint, and there are always specialty cakes like the peanut butter nutter fluffer and white chocolate strawberry wedding cake. Yummy! View more West Virginia Bakeries and Pastry Shops.